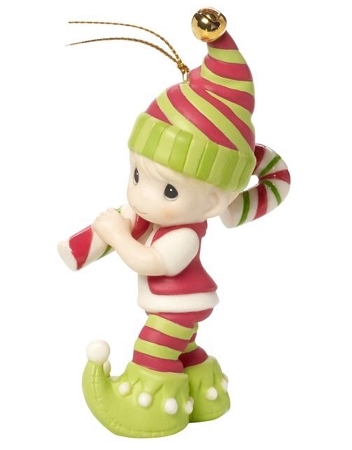 This sweet little elf strolling along with a candy cane on his shoulder is ready to sweeten up your holidays with whimsical fun. The charming Christmas ornament makes a perfect gift for your sweetheart, your friends or anyone who loves this magical time of year. The ornament looks adorable tied to a package, wreath or Christmas stocking. 2nd ornament in annual Elf Series.